One of the frontliners in the war against match-fixing, Dale Sheehan, put cold facts on the table, in yesterday’s debate on how to fight the phenomenon. Interpol has received reports about match-fixing from 70 countries this year alone. Despite the shocking numbers, Dale Sheehan remains an optimist, and he believes that the war can be won. One of the reasons for his optimism is, that Interpol and FIFA launched a 10 year cooperation deal to combat match fixing in 2011. The program works on many levels, but prevention is the main strategy. A lot of e-learning programs have been created targeting various groups of potential match-fixers such as established players, young players, referees, managers and coaches. But the efforts go further than that. Face to face training og is also a part of fight. 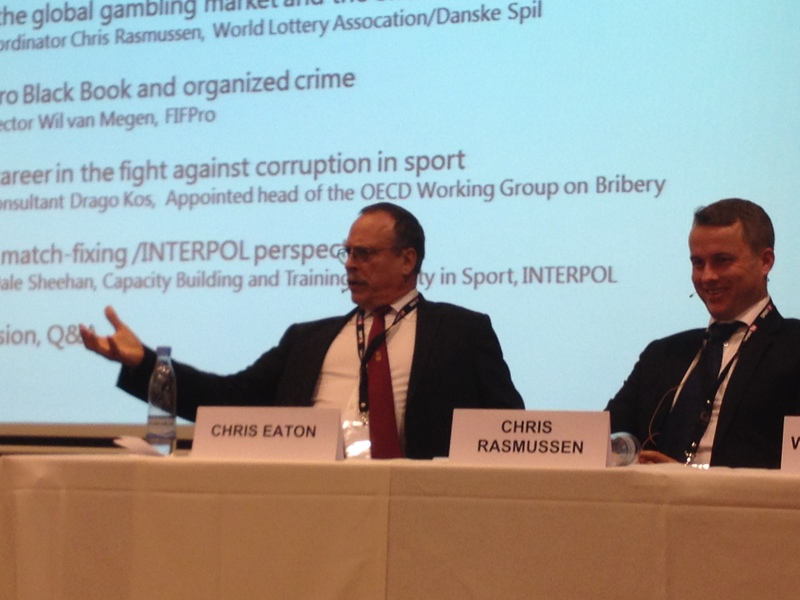 Interpol have had a busy year regarding match-fixing, resulting in more than 2.000 arrests. But the fact that match-fixing is still growing shows that more needs to be done, to win the war against the gambling syndicates. As prevention is seen as the main tool, the young players are crucial contenders. According to Chris Eaton, director of the International Center for Sports Security, proscecution does not solve anything. ”We need a culture and automatic rejection”, he said during the debate. He argued, that this culture could be superior to the money problems, which the Professional Football Players association identified as the main reason to the match-fixing scandals.